Nirma Institute of Technology, Ahmedabad. 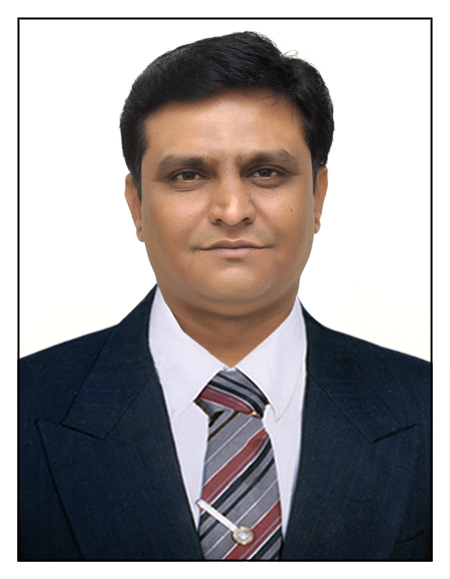 Affiliated to Gujarat University, Ahmedabad. June 2000 to December 2000. Duration: December - 2000 to October - 2004. L. D. College of Engineering, Ahmedabad. Duration: Sept 2012 to Cont..
A Paper titled “Supervisory Access Control system Based on Radio Frequency Identification”, published in “International Symposium on Control, Automation & Robotics”. ISCAR-2010, Organized by Department of Instrumentation & control Engineering, Dharamsinh Desai University, Nadiad, India on 9thand 10th January 2010. A Paper titled “ALOHA Based RFID Tag Protocols”, published in, National conference “EMERGING TECHNOLOGIES & APPLICATIONS” ETA-2010, Organized by Department of Electronics & communication Engineering, Baldev Ram Mirdha Institute of Technology, Jaipur, Rajasthan on 6th February 2010. A Paper titled “Supervisory Access Control System” published in, “International Conference on Emerging trends in Engineering”, ICETE-2010, Organized by Department of Electronics & communication Engineering, Dr. J. J. Magdum college of engineering Jaysingpur, Dist-Kolhapur, Maharashtra on 20th&21st February 2010. A Paper titled “FPGA Based Smart System for Diagnosis of Renal Disease in its early stage” published in “National Conference on Emerging Research Trends in Engineering” (NCERTE-2016), organized by VGEC-Chandkheda, SPFU, CTE Gandhinagar, IPR – Ahmedabad and TEQIP-II institutes of Gujarat from 4th to 6th April 2016. A Paper titled “Eccentricity Measurement for Rotating machines with large Industrial Load “published in 2nd International Journal of Innovative Research in Science and Engineering Volume 02, Issue 10, October 2016.